Periodic Tenancy Definition - What is a Periodic Lease? Looking for a periodic tenancy definition and guide in plain English? 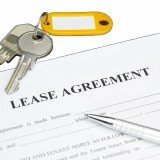 Learn what is a periodic lease and whether it is right for you today. A periodic lease agreement is a tenancy that does not have a specified end date. If your lease agreement doesn't state an end date, it will be regarded as a month to month lease in most jurisdictions. Week to week, month to month and year to year leases are considered as periodic rentals. However, month to month leases are so common that most people use the terms "periodic lease" and "month to month lease" interchangeably. 2. Lease termination: To terminate a week to week lease, you will need to give the other party a written notice at least 10 days in advance. For a month to month rental, this written notice to quit must be given at least 30 to 60 days in advance. If your fixed term lease expires but you did not renew it, it automatically becomes a month to month lease as long as the landlord continues accepting rent from the tenant. Choosing a between a periodic lease vs fixed lease is a tough decision that every landlord and tenant has to make. In essence, a periodic rental offers flexibility while a fixed term lease gives you stability. As you may already know, the single biggest advantage of a month to month lease is the ease of terminating it. All you need to end the lease is to send the other party a written notice 30 to 60 days in advance - No mutual consent needed. This makes it especially appealing to landlords who may be thinking of selling their rental property in the near future or tenants who are looking for a short term lease. If you're a tenant looking for a long term residence, then a fixed tenancy is the sensible choice for you. The landlord won't be able to end the lease prematurely without your consent... unless you give the landlord a proper reason to evict you. For landlords, a fixed term tenancy presents a simple way to lower your tenant turnover rates and vacancy losses - This way you can avoid the loss of rent and the hassle of finding new tenants during periods of vacancy. If you have an excellent tenant who is currently on a month to month lease, you should also consider offering him to her a fixed term lease.